"Amazon has the resources and scale to spark the world’s imagination and redefine what is possible and necessary to address the climate crisis," a letter from thousands of employees said. More than 3,500 Amazon employees have signed a letter urging the e-commerce giant to take action on climate change, adding to growing activism by technology workers directed at their companies. The letter, published Wednesday on the blogging platform Medium, calls for Amazon to publicly detail how it plans to handle disruption brought on by climate change and reduce its dependence on fossil fuels. The letter, first reported by The New York Times, is attributed to a group called Amazon Employees for Climate Justice. "Amazon has the resources and scale to spark the world’s imagination and redefine what is possible and necessary to address the climate crisis. We believe this is a historic opportunity for Amazon to stand with employees and signal to the world that we’re ready to be a climate leader," the group wrote. A smaller group of Amazon employees and shareholders made a similar call in December. An Amazon spokesperson pointed to the company's climate initiatives including a plan called "shipment zero" that aims for all of the company's shipments to have a net-zero carbon footprint. The company projects that it will have achieved that goal with 50 percent of its shipments by 2030. 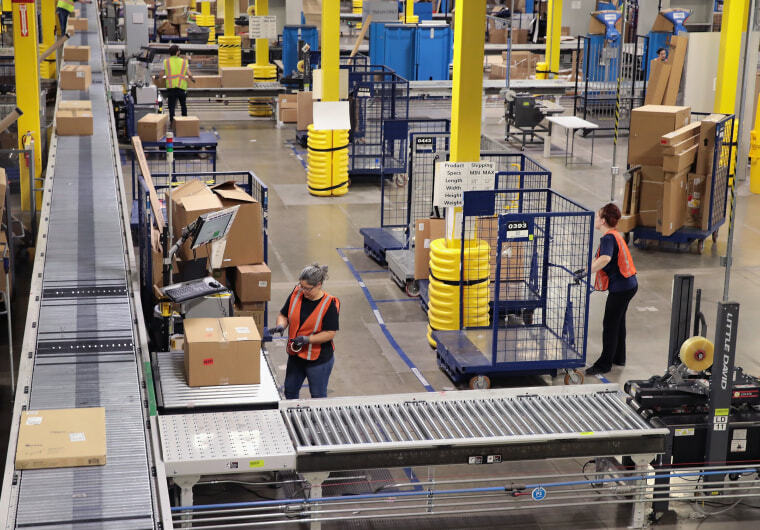 "Amazon’s sustainability team is using a science-based approach to develop data and strategies to ensure a rigorous approach to our sustainability work," the company said in a statement. "We have launched several major and impactful programs and are working hard to integrate this approach fully across Amazon." The employees' letter takes a hard look at Amazon's current climate impact, noting that the company lacks a plan to reach zero carbon emissions, works with oil and gas companies, and donates to politicians who deny climate change. "In our mission to become 'Earth’s most customer-centric company,' we believe our climate impact must be a top consideration in everything we do," the group wrote. In recent months, many employees in the tech field have publicly called for changes in their industry and their particular companies. At Google, an employee walkout pushed the company to change how it handles sexual harassment complaints. Google and other tech companies have since stopped forcing employees to have such complaints handled only behind closed doors. Government contracts have also become the source of employee protests at Amazon, Microsoft and Salesforce.